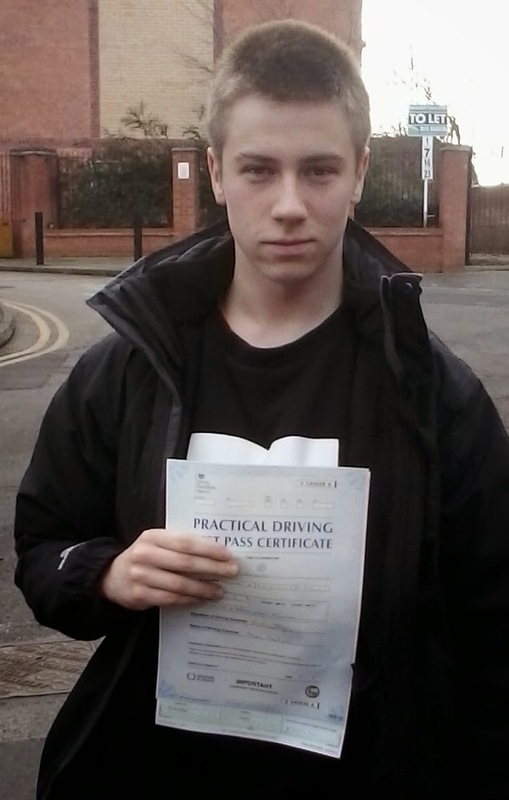 It's a good day again with another pupil passing their driving test. This time it's the turn of Wojtek to step up to the plate and do the business. Having taken his test with another instructor before and failed his test, we had to work on a few areas and modify how Wojtek drives. Spatial awareness was one area we worked on. Pulling up too far from the kerb is never a good idea. It leaves you open to being hit by passing cars. After a bit of practice we were getting six inches from the kerb consistently. This spacial awareness issue also effected the manoeuvres. Parking into a bay and parallel parking both proved a challenge for Wojtek. We changed the methods being used to incorporate better use of the door mirrors to judge distances and position of the car. It paid off and after a few lessons the parking was up to standard. We had to rein in the speed to make sure the posted speed limits were not being broken which completed the picture. Succcess today was the result of some hard work which is what it's all about really. Hurray!